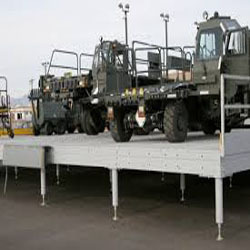 Federal Equipment Company's advanced manufacturing and design allow us to create a diverse and broad range of products for both the military and the consumer. Our diversity has allowed us to become a top supplier for shipboard equipment and services. 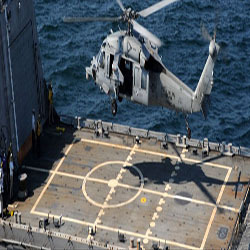 We house the capability to create several hard-to-find replacement parts for many of the Navy's key systems. Federal Equipment Company is not a reseller. 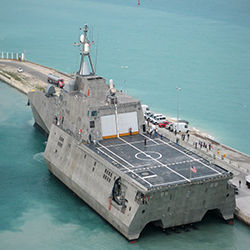 We design and manufacture a large portion of the Navy’s, MSC’s, and Coast Guard's shipboard cargo doors and are one of the few companies certified to build a class A-60 Fire Door. 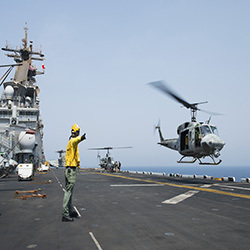 As a key manufacturer of elevator systems and package conveyors for the Navy, we have provided Navy products ranging from fork fork truck guards to the Advanced Weapons Elevators of the new class of Aircraft Carriers. Our expertise in practical design and customer satisfaction has its reaches in every branch of the military. From engine vehicles created for the Air Force to the retractable helicopter hangars for the Coast Guard, Federal Equipment Company houses the expertise and the will to work with you and your team to create the best possible products and solutions for any project.